Last Sunday I rode my bike to Aurora Reservoir for a little workout. 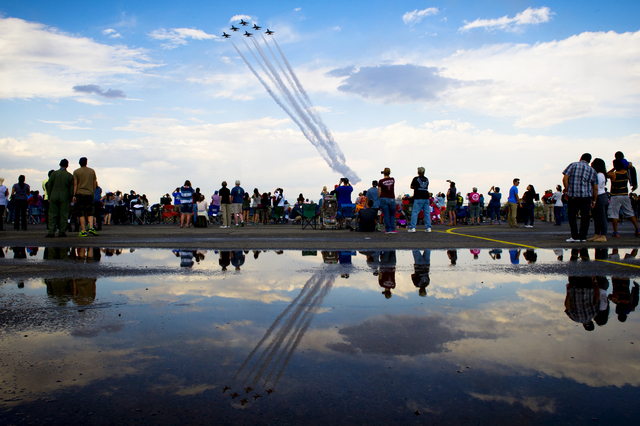 As I came over a hill I saw thousands of spectators watching the Rocky Mountain Air Show. It was quite a spectacle! 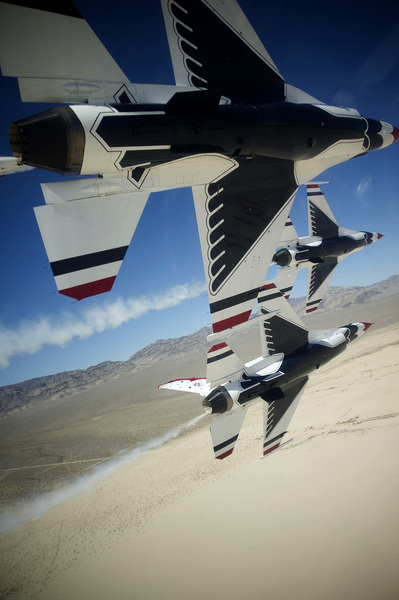 The Air Force Thunderbirds amazed everyone with their precision aerials. It was thunderously loud and exciting! I got off the bike and watched the show. Riding home from the dam my mind drifted to memories of my dad and his passion for aviation. 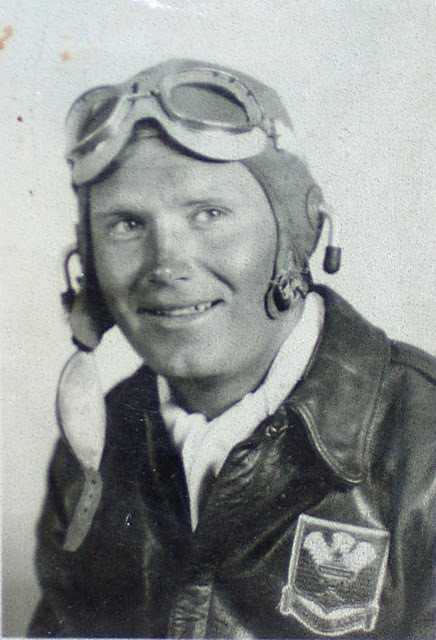 He was a pilot in the Army Air Corps in World War II, and later during the Korean War he flew for the Air Force in Germany. He loved flying and continued after the war to work in corporate and spray activities around the country. He would have loved watching the Thunderbirds today! 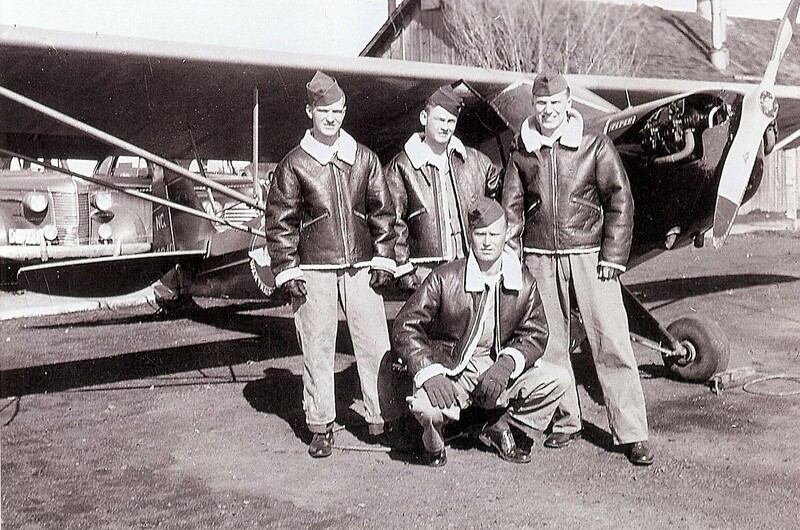 An image of my dad kneeling down with his buddies at flight school. 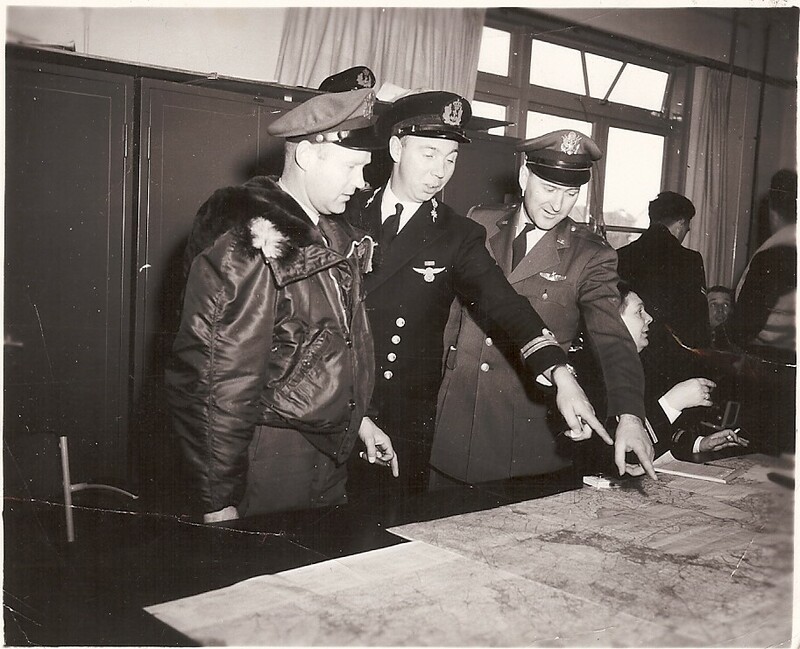 My dad, on the left, during a briefing with a British officer during the great Holland flood in 1952. 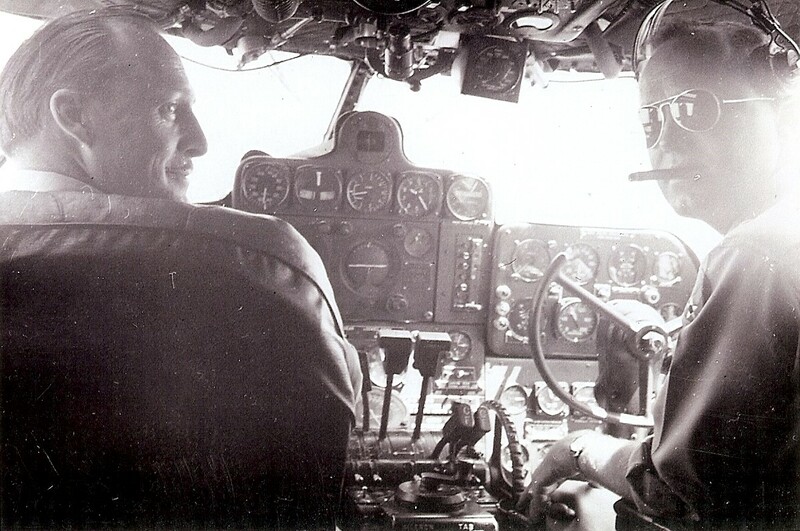 Dad flew his C-119 cargo plane for air drops in Holland. Dad’s formation of C-119’s over France. 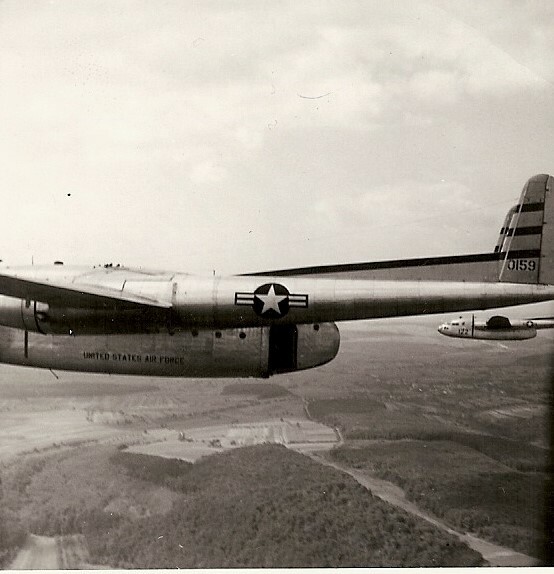 Later in life my dad worked for a large company specializing in aerial spraying with government and state contracts. 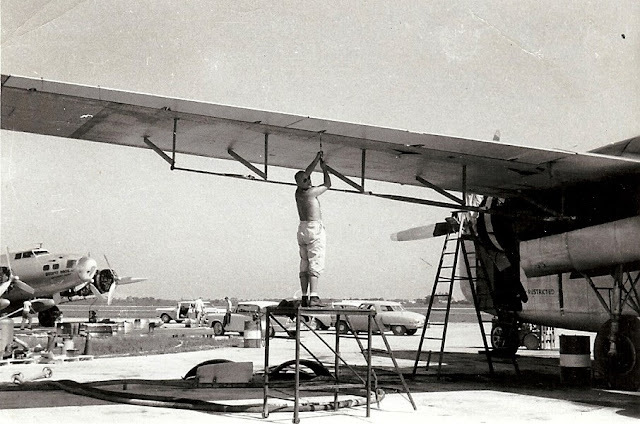 He is shown working on spray units of his C-82 in Northern California.